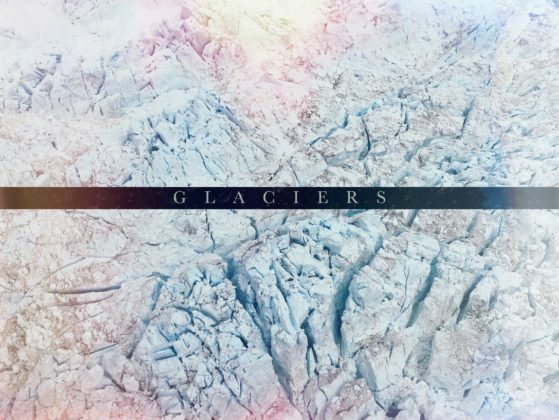 ”Glaciers” was the first piece of music I wrote for my new mini-album Bloom (Spotify). I thought it would be fun to share the process of how I wrote and then recorded the song. This song begins with a solitary electric guitar that plays a melodic line that has a lot of movement in it, and it has an A, B and a C section to it. This is (not surprisingly) the first thing I wrote, and that was the seed that made me turn what was just an idea into a fully recorded piece of music. I remember spending a lot of time trying to nail the guitar tone, because I could clearly hear in my head how I wanted it to sound, but it took some fiddling with amps and pedals to get it to the right place. In this case it was my Fender Telecaster Deluxe running through a eventide space reverb-pedal into a small peavy amp with just a hint of grit to it. This guitar is the red thread that carries the song on its shoulders, and I sometimes like to create an arrangement that grows and changes around a constant element, in this case the riff. If you listen closely you´ll hear a very soft and distant ambient atmosphere swelling in a second or two before we hear the guitar, and I often do this to give the main melodic element a sense of space. I view it almost like it´s ”hugging” the other instrument. It´s a subtle thing, but I tend to give those a lot of attention. As the song progresses I introduce a very soft and distant beat, which is a treated bass drum layered with a floor tom, with all the top end taken out. The second time around you´ll hear that the ride and cymbals join in with the beat, with the odd tambourine hit following suite, and without you maybe noticing there is another electric guitar producing a drone-like note increasing in both volume and texture. This is played with an e-bow, which is basically a little device that you hold over the strings as a magnetic response makes them vibrate, producing a almost cello like sound. This sound actually starts way earlier in the song, but it comes in really softly and doesn’t really draw attention to itself at first, but then I incrementally introduce more and more distortion and top-end to it, making it take up more space and add to the rising tension of the song. At this point there are several other guitars joining in and helping to widen the stereo-image, and they too get increasingly more distorted as the drums grow in size and plays more forcefully. At 1:50 into the song the bass-guitar makes itself known when I add a sub-octave pedal to it along with distortion, and I think that played a big part in creating the sense of the song really kicking into the next gear. Again, this is a subtle thing, but I sort of thought about it as a way of bringing a somewhat thunderous element to the mix that pushes it from the ground up. Just like the drums becomes more and more aggressive, the bass guitar follows them as the heartbeat of the song, and so when they grow louder, the same goes for the bass and it gets more and more distorted and ”urgent”. Getting the rhythm section to gel and work together was probably what took the most work in the mixing stage of Glaciers, because they were so dynamic, going from very quiet and subdued to full-on slamming. I did this by automating everything all the time throughout the song, so its constantly moving in terms of compression, distortion and volume – nothing is ever static. This is definitely a part of the process that I enjoy a lot, and I consider mixing almost like playing another instrument, just because you can create so much breath and life by moving stuff around, and that to me is really inspiring. There are some cello and violas reinforcing the arrangement in the background, but I wanted to highlight the ”band-feel” in this song, so it´s all about the guitar, drums and bass. As we fade out though, you´ll hear what the strings where playing all along the second half. There is something about creating outros that I cant seem to get enough off, but I always tend to get a lot of ideas once the song is technically supposed to be over. I think that´s it for this song, and I hope you enjoy listening to it as much as I enjoyed making it. As always, thank you for reading. 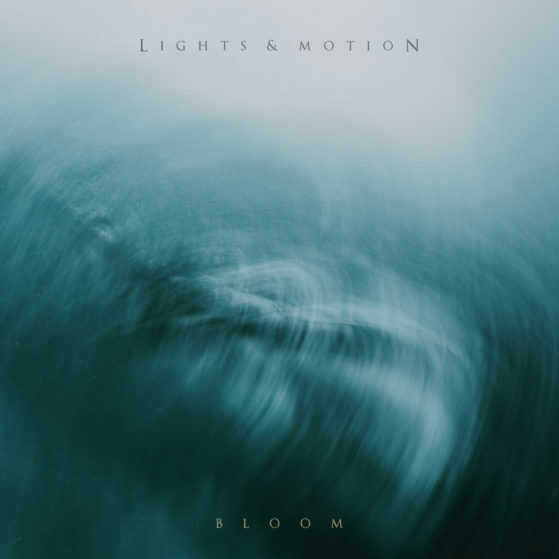 Lights & Motion will release a new EP called ”Bloom” on February 2, through Deep Elm Records.